When thinking about US spirit production, I have to admit that Virginia is not the first state that comes to mind. The big ones, obviously, are Kentucky and Tennessee, but it turns out that every US state (with the exception of Hawaii) has at least one distillery in action. 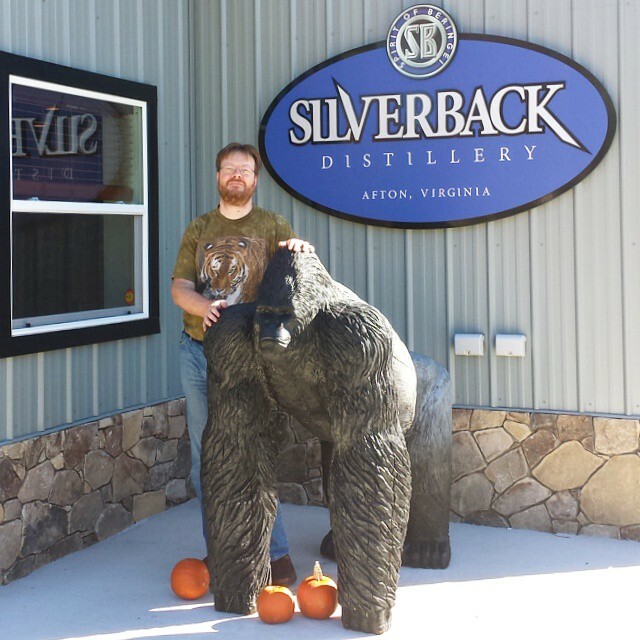 Silverback are a recent addition to Virginian distilling, having been open barely 10 weeks at the time of our visit. Despite their youth they are already looking to expand, such is the current thirst for spirits in the States – craft distilleries are following hot on the heels of the explosion of craft beer. Obviously as they’re just starting out, there is no whiskey to be had just yet, but they are able to offer vodka, gin and “white whiskey”, which is the name they give to their raw new-make spirit that’s been bottled without seeing the inside of a barrel. Beringei is their vodka, its name taken from the scientific designation of the Eastern Gorilla (Gorilla beringei). I’m a fan of a good vodka, and this is a seriously good one – smooth, sweet and slightly grassy, it has a gentle but developing alcohol heat with no hint of any harshness. Strange Monkey was something of a revelation to me. I had previously thought that I didn’t like gin, but it turns out that perhaps I’ve been put off by London dry (or, more likely, cheap) gin. Strange Monkey isn’t dry; it’s sweet, floral and herby with a flavour that I can only describe as Parma Violets . 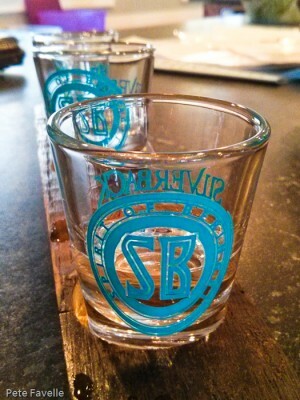 Finally, Blackback is their white whiskey. Although oxymoronic on the face of it, in actual fact a blackback is a young gorilla that has yet to mature into a silverback, so it’s actually a marvellously accurate name. For a raw young spirit, this is simply phenomenal – smooth, with a slightly nutty character and beautifully balanced alcohol with none of the harshness you might expect. They’re all tasty spirits, and I can totally understand why the demand for them is so high. I can’t wait to see how the Silverback turns out! I deeply appreciate you stopping by and trying our spirits. Please stop by again. We are delighted that our spirits met and/or exceeded your expectations. I’ll definitely come back the next time I’m on the right side of the Atlantic – I can’t wait to see how your whiskey turns out once it’s spent some years in barrels!